As people age certain activities become harder and even burdensome. At some point this realization kicks in and the senior or the children of the senior have some serious decisions to make. Generally there are 6 options. Independent living facility, assisted living facility, skilled nursing facility, hire part time help, hire full time help (live in), or a child will invite the senior parent to live with them. Every person is different and there is no absolute right or wrong. For some people a facility is the best thing while for others live in help is more comfortable. Each person needs to be evaluated based on their personality, lifestyle, social life, financial status, etc. 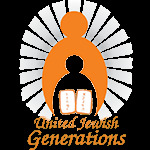 United Jewish Generations has done and continues to provide Jewish services, chaplaincy and many programs for the Jewish seniors residing at assisted living, independent living and nursing homes throughout South Florida. Many people turn to us to find out about the pros and cons of each facility to find out which one is most suitable for them or their loved one. If you would like a consultation regarding facility placement, please contact us.